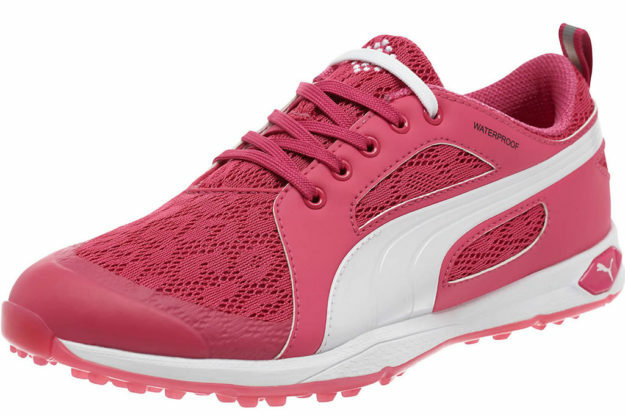 Touted as one of Puma’s most comfortable and lightweight Puma women’s golf shoes, the BioFly Mesh comes in a feminine Beetroot Purple/Puma White colorway, and just like its name suggests, it is based on a soft, breathable performance mesh upper. 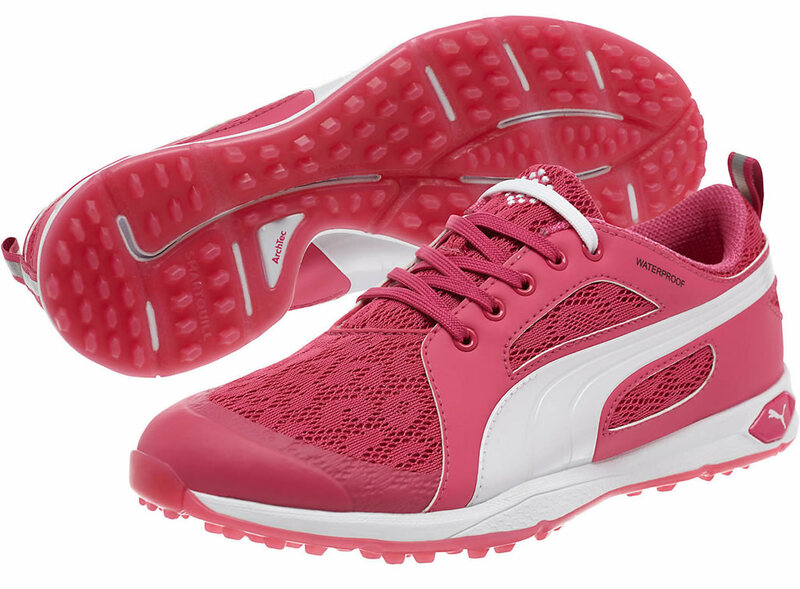 This upper sits on top of a lightweight EVA midsole, while a lace closure guarantees a snug, locked-in fit. 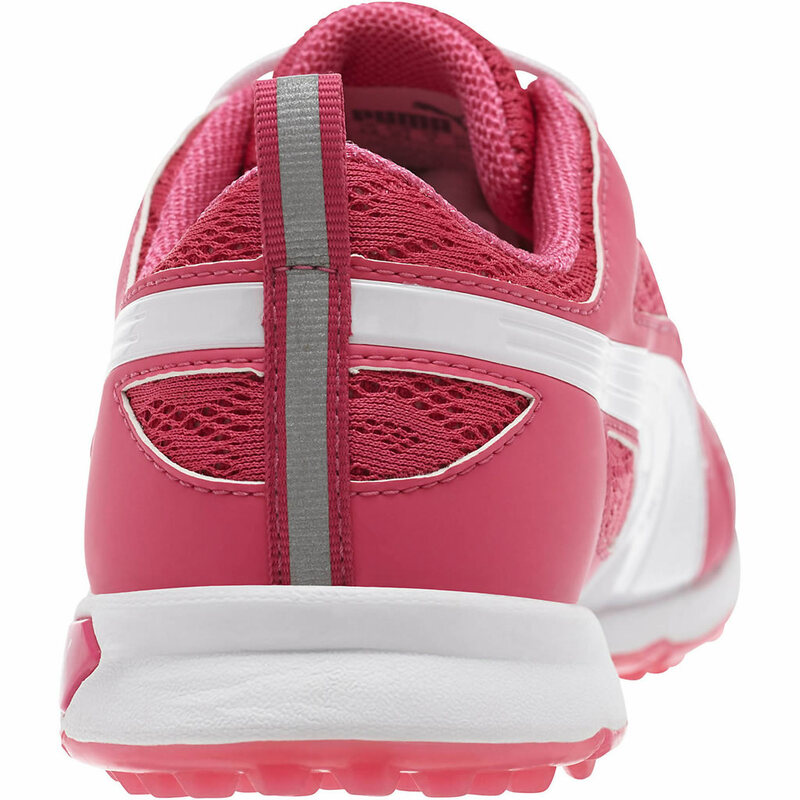 Other highlights include a molded EVA sockliner, EverFoam heel cushioning and an ArchTech system that ensures advanced arch support. The Carbon crystal rubber outsole takes care of high-abrasion grip and durability, while a forefoot TPU supports multi-directional traction. Lastly, we should mention the SmartQuill traction tech, which improves ground contact, traction and stability. 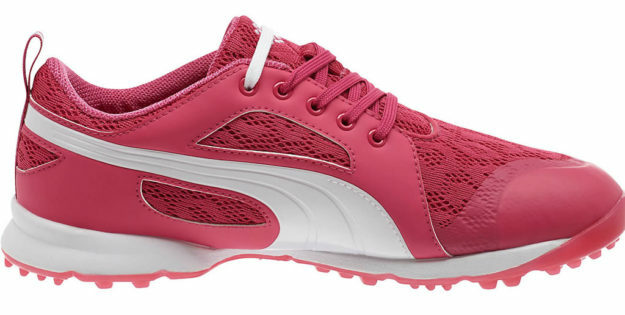 For a touch of originality, the shoe flaunts a PUMA Cat logo on one side of the heel.